About Conn & Buenaventura, P.A. 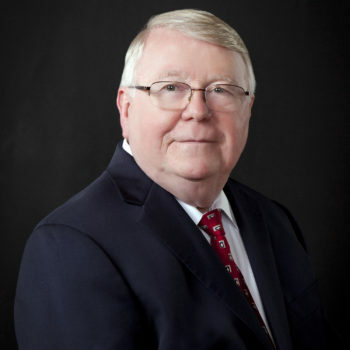 Donald Conn’s practice focuses on local and regional government law, administrative law, growth management and environmental law, water law, construction contracting, public procurement, and sunshine and public records law. His practice includes representation of both public and private clients in matters which involve regional transportation and planning, land development regulations, permitting and licensing approvals and disputes, public contracting, bid disputes, rulemaking, and rule challenges. He currently serves as General Counsel to several regional agencies and as County Attorney in central Florida, and has recently represented public clients in construction litigation, regulatory takings and Bert Harris Act claims, and public procurement and employment matters. For twelve years prior to entering private practice, Don served as General Counsel of Tampa Bay Water, a regional water supply authority, and was involved in numerous complex contractual transactions, development of interlocal and mutual use agreements, water use and environmental permitting, real property acquisition, as well as administrative and civil litigation. He has also served as an Administrative Law Judge with the Division of Administrative Hearings handling a wide variety of cases throughout Florida, as General Counsel to the Department of Business Regulation, and as State Courts Administrator for the Florida Supreme Court. Don received a Juris Doctorate with Honors and Master of Science in Public Administration from The Florida State University. He holds a Bachelor’s degree from the University of Notre Dame, where he was a member of Phi Beta Kappa, and has been an adjunct professor at The Florida State University and the University of Florida. Don has twice been named by his peers as one of Florida’s Legal Elite in the areas of government and administrative law. Barrie Buenaventura’s practice focuses on local and regional governmental entities, including issues related to water law, zoning and land use, ad valorem taxation, real estate, public records and sunshine law, public procurement, and eminent domain, as well as representing condominium and homeowner associations. 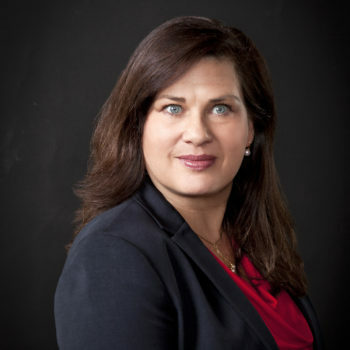 She currently serves as General Counsel to Tampa Bay Water, a regional water supply authority, and advises the agency’s Board of Directors and staff on all of the agency’s legal matters. Barrie is a Special Magistrate for the Pinellas County Construction Licensing Board, and serves as Special Counsel to local governments on land use and zoning, real estate, property acquisition, and utilities. In addition, Barrie represents several large condominium and homeowner associations throughout the state, assisting them with enforcement of their declarations and rules, as well as advising them on routine operating and corporate matters. Prior to entering private practice, Barrie served as Assistant General Counsel for Tampa Bay Water, Assistant General Counsel for the Florida Department of Environmental Protection, and as an Assistant Attorney General, where she litigated eminent domain cases for the State of Florida. A graduate of the University of Virginia, where she majored in Urban and Environmental Planning, Barrie began her professional life as a Land Planner and has held the AICP certification since 1999. She subsequently received her Juris Doctor degree from the University of Florida. In addition, Barrie holds a Graduate Certificate in Public Management from the University of South Florida. 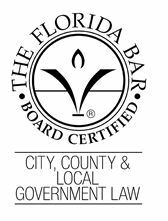 Barrie has been Board Certified in City, County and Local Government Law by the Florida Bar since 2003. She is a member of the Florida Bar Eminent Domain Committee, the Local Government Section of the Florida Bar, and the Real Property, Probate and Trust Section of the Florida Bar. Barrie is also a member of the Junior League of Tampa and served on its Board of Directors 2003-2005. © 2016 All Rights Reserved Conn & Buenaventura, P.A.